How to Launch Your Pinterest Business Account in 3 Easy Steps – If you use Pinterest for business, a Pinterest Business Account is an absolute must. Even if you use Pinterest for personal purposes only, it is worth considering converting it to a business account. It’s free to use and offers valuable insights and additional functionality. Setting it up is easy peasy. Let's go! THE GUIDELINES ON HOW TO LAUNCH YOUR BUSINESS ACCOUNT HAVE BEEN UPDATED IN A MORE RECENT BLOG ARTICLE. READ IT HERE. Access to Pinterest Analytics - a mine of valuable business information providing you with insights about your Pinterest audience, your best pins and how it drives traffic to your website. Access to Pinterest Ads – Currently only available in US, Canada, UK, Ireland, Australia & New Zealand. Meaningful metrics directly visible on your pins – A new stats icon on each of your Pins gives you (and only you) a preview of that Pin’s total engagements. This is being rolled out at the time of writing this article. I have not seen it on my own pins yet. 1. 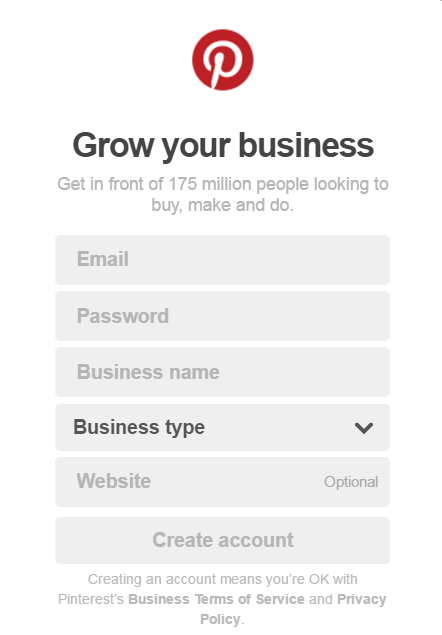 Click on "Join as a business"
If you already have a personal account, you can convert it to a business account here if you wish. Converting to a business profile will not affect your pins, boards, and followers in any way, but will give you access to valuable data for your business. Check your mailbox and confirm your e-mail address as requested by Pinterest. BUSINESS NAME | This is the title that will appear in bold at the top of your profile box. The maximum number of characters that will be visible, including spaces, is 100 (depending on screen size). 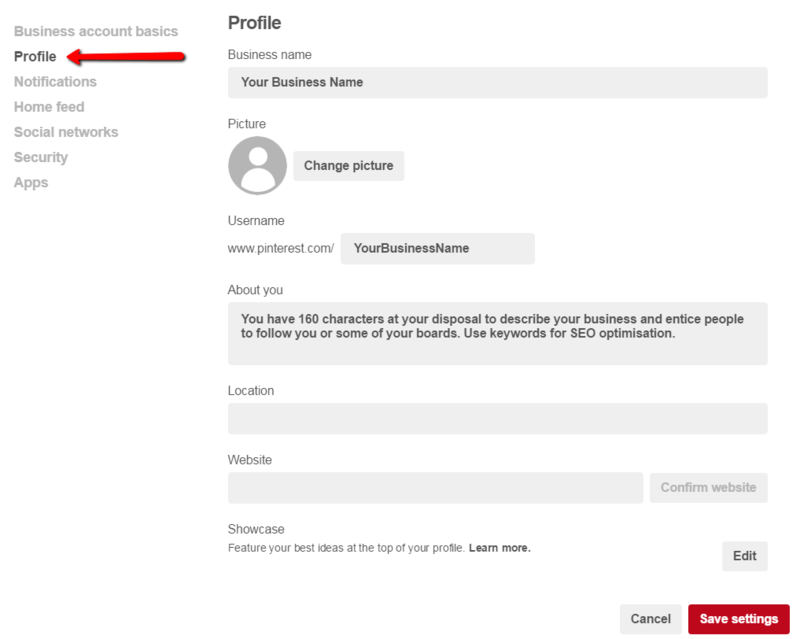 Enter your business name and include any keywords to increase Pinterest SEO. Align the information in this field with the search terms people may use to find you. PICTURE | Add your logo or personal picture here. 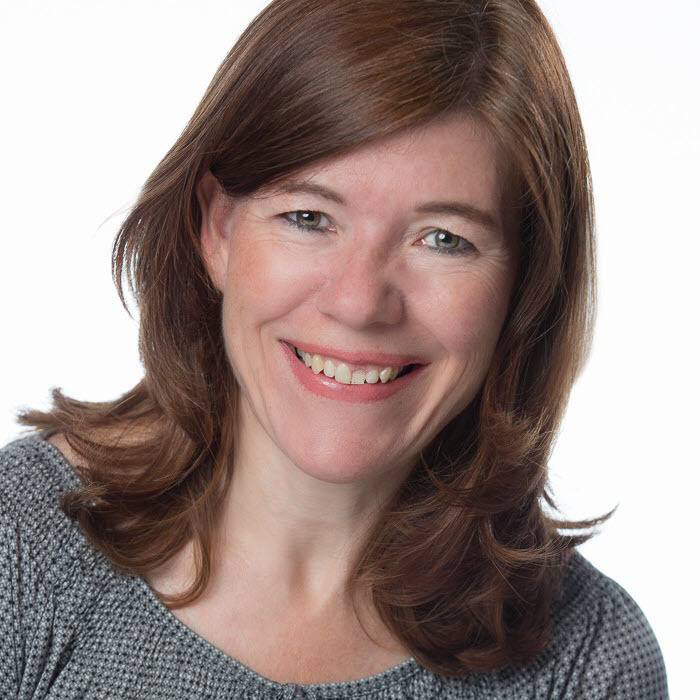 To display a professional image of your business, any photo portraits should be taken by a professional photographer. The recommended picture size is 165 x 165 pixels. USERNAME | Think carefully what you will put here. This is the name that will appear in your Pinterest URL. You could just add your company name here. However, it may be worth including a keyword that describes your business. When doing a search on Pinterest or any other search engine, most people will search for a keyword rather than a business name. For example, if you are a garden designer named John Smith, then you may want to consider JS_Garden_Design rather than JohnSmith as user name. Note that you are limited to 15 characters and many names are already taken, but it is worth giving this some creative thought. 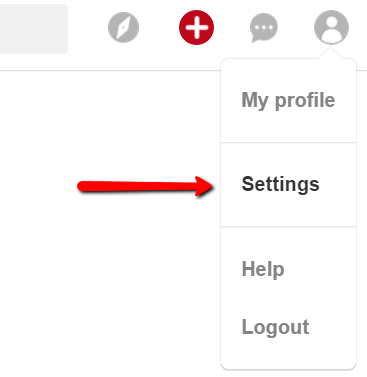 ABOUT YOU | This is the description in the profile box that appears at the top of your Pinterest page. You have up to 160 characters at your disposal to describe your business and entice people to follow you on Pinterest. Again, use keywords in your description for SEO optimisation. LOCATION | Enter your geographical location. Once your website has been confirmed, you will see your logo or profile picture on pins that people saved from your site. It activates Pinterest Analytics for your website and gives you access to Pinterest ads (only if available for country setting in your account). The confirmation process consists of generating some code that you need to install on your website. Enter your website URL, click on Confirm and follow the instructions. As soon as your website has been confirmed, you will be able to access Pinterest analytics. Data for analytics will be generated from the moment your account has been confirmed. By definition, this does not include any data prior to validation. SHOWCASE | With a Pinterest business account you have the possibility of configuring a rotating showcase at the top of your Pinterest page! You can choose up to five of your boards to feature. You can update your showcase as often as you want to highlight what’s new, what’s on sale or whatever else makes sense for your business. To enable pinning directly from your website, you should install the Save (formerly "Pin It") button on your website. Get people to pin content directly from our website: free and effortless advertising of your business through sharing of your content on Pinterest! Make sure you have great visual content on your website to encourage pinning. Think about including vertical images on your website, these type of images have a much higher sharing rate. Click here to get the Save button from Pinterest. 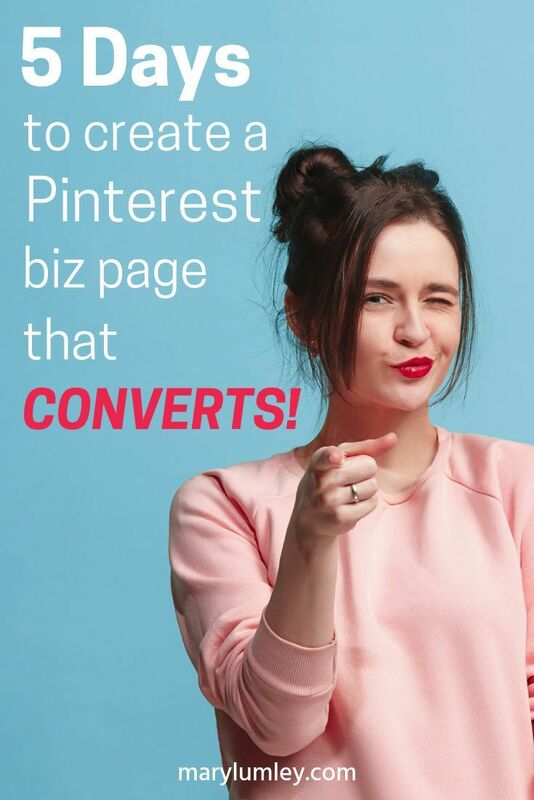 You do not need this step to get started as a business on Pinterest. However, they are a great marketing tool and if you are running a business, you should definitely enable rich pins. I highly recommend that you install this feature. Installation is not quite as simple as the steps above and requires some technical knowledge. You may want to ask for help from your webmaster or a techie friend for this one. To activate Rich Pins you need to add some meta tags your website and apply to Pinterest to get them activated. Rich pins allow you to add more information to your pin than the standard format. Rich pins can automatically include information like prices, availability, ingredients and reviews. They pull meta-data from your website that is then displayed on Pinterest. They get a better search rank and are more visible in Pinterest users’ feeds resulting in a higher click-through rate. Rich pins are also likely to improve your search results on Google, because rich snippets generated by other search engines use the same mark-up as Pinterest. Currently, there are four types of Rich Pins: product, recipe, article, and app pins. I would like to make a special mention of the product pin. The key to product pins is the real-time pricing feature. When someone pins a product from a website which uses product pins, and the price drops, the pinner will get an email from Pinterest (not the retailer) notifying him of the price change. This means that even if someone is not on a retailer’s email list, through rich pins, there is still a way for retailers to communicate with potential customers and drive pinners back to their sites. How cool is that?! Learn how to add Rich Pi﻿﻿ns to your account. If you are completely new to Pinterest, it's time to start creating some boards! I recommend creating at least 5 boards to fill up the first row when your Pinterest page is viewed on a PC. When viewed on the Pinterest mobile app, your boards will show up in a single column. Eventually, you should aim to have at least 10-20 boards on your page based around your customers' areas of interest. Only publish boards that have at least 5 images pinned to them. Do not create empty boards as "placeholders" on your page. It gives your page an "unfinished" look. Tip: Create secret boards first and publish them when they are ready. Every day Pinterest drives millions of visits to web sites through referral traffic. Are you ready for business on Pinterest? If you have a Pinterest account that you use for business, a Pinterest Business Account is an absolute must. However, even if you use Pinterest for personal purposes only, it is worth considering converting it to a business account. It’s free to use and offers valuable insights and additional functionality. Setting it up is easy peasy. Let’s go!